We're back.The next brave author to volunteer her book for the blog is Elizabeth Kolodziej. 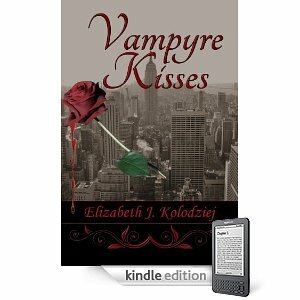 She's written a tempting vampire tale and would like to share it with you.She also offers some great. Please welcome Liz and feel free to ask questions or leave comments. 1. Tell us about your book(s). Vampyre Kisses is an enthralling story about a young woman named Faith, who was content with her life, but deep down craved more excitement. Then a mysterious man named Trent enters her life and everything changes. Surprising to Faith, Trent is a green-eyed vampire from Ireland. She is even more surprised to find out that she is a witch, and the last of her kind. Faith finds out that she is destined to restore her witch line and becomes more powerful as she gains confidence and knowledge, but danger lurks everywhere. Especially when unknown assailants steal the most important gems from the vampire master and werewolf royalty. Now surrounded by a world full of mystifying vampires and werewolves, can Faith gain enough power to help her friends and rescue the stolen gems? 2. How did you go about getting your book published? I self published my book through Eloquent Books for the paperback and published it myself through amazon, B&N, and smashwords. 3. Tell us about your marketing strategies. Well there is actually a lot going on there. I have done blog tours, guest posts, I tweet, facebook, have my own website, advertise on sites like vampires.com and nocturnereads. I have sent book proposals to places like B&N and Costco (B&N agreeing to buy 100 copies to put in their stores around the Delaware/Philly area), I am in the middle of trying to get up to 100 reviews of my book on amazon, goodreads, and other numerous sites. I am also trying to promote my work by submitting my short stories for anthology books. One of which I can proudly say was accepted. I try to get involved with as many book/reader conventions I can afford and get to. I have so many more ideas but some are still in the making. I am always trying to take every opportunity to talk about my book and let people know about it in any way possible. 4. What's the best advice you could give to new writers who want to get published? Learn the business. There are two parts to this whole thing, the writing and the marketing/promoting. All of it is important because you can't have one without the other. I see too many authors who write a book and try self publishing it but think they don't have to tell people there book is out there. Get books on the subjects of this business and talk to EVERYONE you can about it. The writing community is such a big family, the closest and most giving I have ever seen, you can't be afraid to ask questions or ask for help. You won't meet many people that didn't have to start from the bottom and work their way up. They understand your dilemma. I actually read more than one book at a time. I get crazy like that. Currently, Marked by Elisabeth Naughton, Tempting Evil by Keri Arthur, and Bitten by Kelley Armstrong. If you would like your book featured on Cheap Indie Author, please contact me at karla (at) klbradywrites (dot) com for details! Next on the Cheap Indie Author Spotlight is Daniel A. Roberts, a self-published author who writes about my favorite topic... L'amor. (I think that's "love" in somebody's language. Probably mine.) Please feel free to comment or ask questions about his writing/publishing process. I explored so many avenues and there were so many crazy options, but I eventually found Smashwords. They give an author all the choices and control and they organize the distribution. It's a win-win situation for anybody who wants to publish an ebook. Even the comissions as better and I intend to make a living off of my writing. 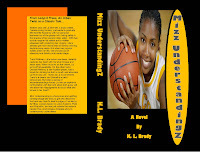 As an Independent Author, I'm not given a formula and told how to write my story and what limits I have. That is killing creativity in my opinion. I use Facebook and my own personal profile. That's an excellent start. I also use Twitter. I have an account with Google Adwords and Bing Adsense. I do a pay per click and I set the budget so I'm not buried in bills. 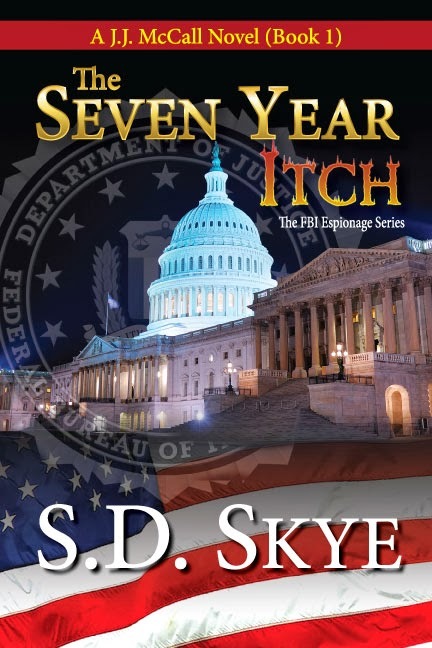 My books show up on Barnes and Noble dot com and the Apple iBook store and Kobo and Diesel and other retailers, I do my best to get this out to the public through my friends as well. 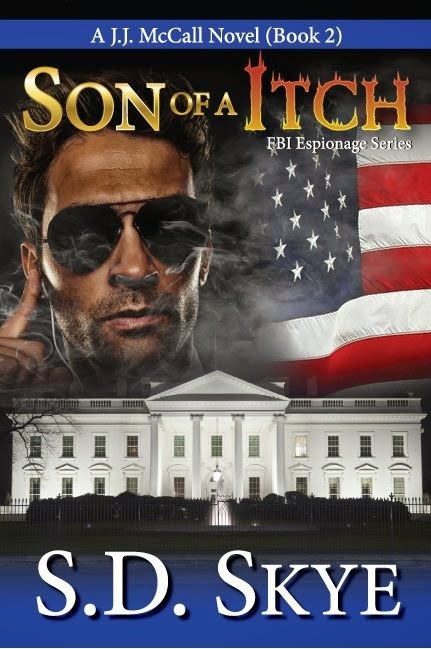 I also do Youtube videos promoting my book, as well as my own website at http://www.thepassiontrilogy.com/ And I use the Romance Studio as well. People who like Romance go there looking for things to read, and I try not to let them down. Don't be afraid to be proactive. You get back what you put into it. Talk to publishers and agents if you must, but have they yet put your excellent and best work in front of people who will be willing to pay for it? If the answer is no, consider going to Smashwords and trying them out. They have a promotion guide and it's free. Lots of good stuff in there. It's kinda cool to get a letter from an agent telling you why he can't represent you, and then you go to your email and get notified you just earned another hundred bucks in sales. His cut is in your pocket instead. It's a win-win situation for the author. Special Parent, Special Child by Tom Sullivan. I have an Autistic daughter (very low functioning) and it's good to know my wife and I aren't alone in the drama to raise a child with such a disability. Looks like we've found our first brave author to take me up on my offer. 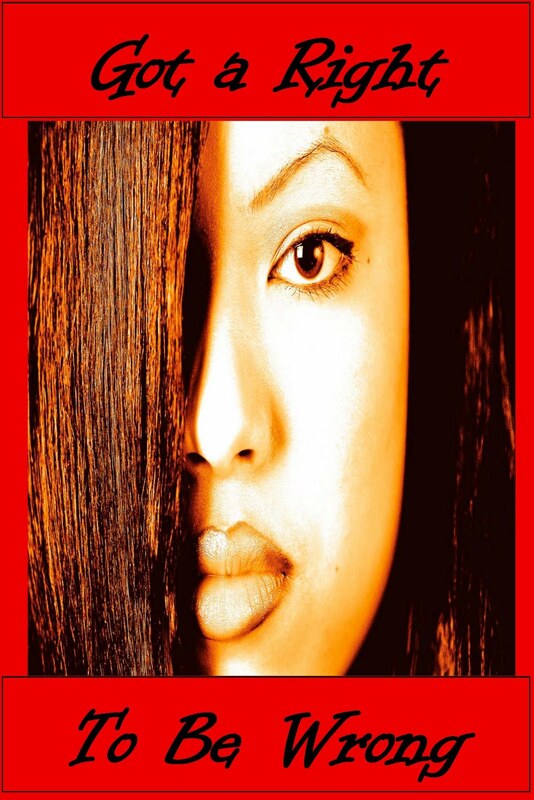 Georgia Ann Banks-Martin is a poet who got her book published through a small press. Please give her a warm welcome and feel free to ask questions or comment. 1. Tell u s about your book(s). The first draft of my collection was completed as my M.F.A. thesis. While I was working toward graduation I started compiling a list of possible publishers based on ads and listings that appear on websites such as Poets and Writers, publishers I encounter at book festivals, writers conferences, books that were being published which were similar to my collection, and recommendations from friends. When I was ready to send out my final manuscript I narrowed the list to five and followed the submission guidelines provided by the publisher. 5. What are you reading? If you're an author (indie, small press, or major publisher) who would like to be featured, please contact me at karla (at) klbradywrites (dot) com. 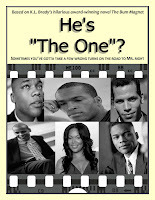 Answer the questions and provide me with your book cover(s) and author photos. Hope you enjoy. New content is coming up soon so don't delay! Sorry it's been so long since I've posted but I've been just a little busy. First, I finished novel number three--GOT A RIGHT TO BE WRONG. It's the sequel to The Bum Magnet and I happen to love the story. Got it turned into my editor who I pray doesn't hate it, otherwise it's back to the drawing board. I made a faux book cover for inspiration only. If my editor accepts it, then I have ZERO control over the cover. 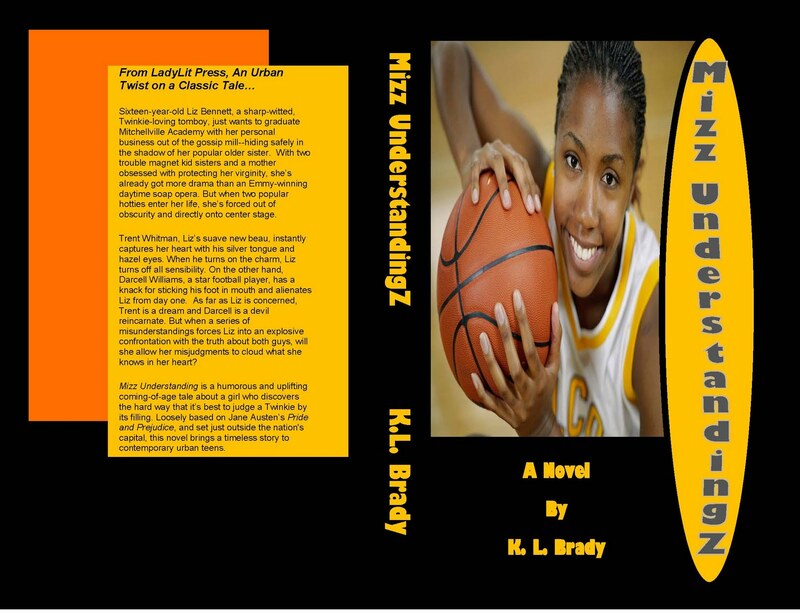 For those who are wondering where novel number two is, it's called MIZZ UNDERSTANDING. It's on submission right now. Been a while. It been sufficiently rejected but there are still about five hold outs. Somehow I get the feeling the remaining editors are waiting to see if THE BUM MAGNET does well when it's re-released in March. If we do not hear back from folks by next month, I'm gonna put it on Kindle as another self published venture and see how it does. My agent is in agreement. :) Another faux cover for inspiration only. After I finished GOT A RIGHT TO BE WRONG, I totally lost my mind and decided that I wanted to become a screenwriter. Yes. Do NOT ask me what possessed me to take on that challenge but within two weeks, I adapted my novel THE BUM MAGNET into a screenplay and entered it into the Amazon Studios contest. If you want a lesson on how NOT to write a screenplay, download my first screen play. Script number 4 is much better. Feel free to download, leave a review, or any activity that will let folks know my story might not be total and complete CRAP. I had to change the title so because Bum Magnet had been used already in some Australian movie with a red-headed star whose name I can't remember. 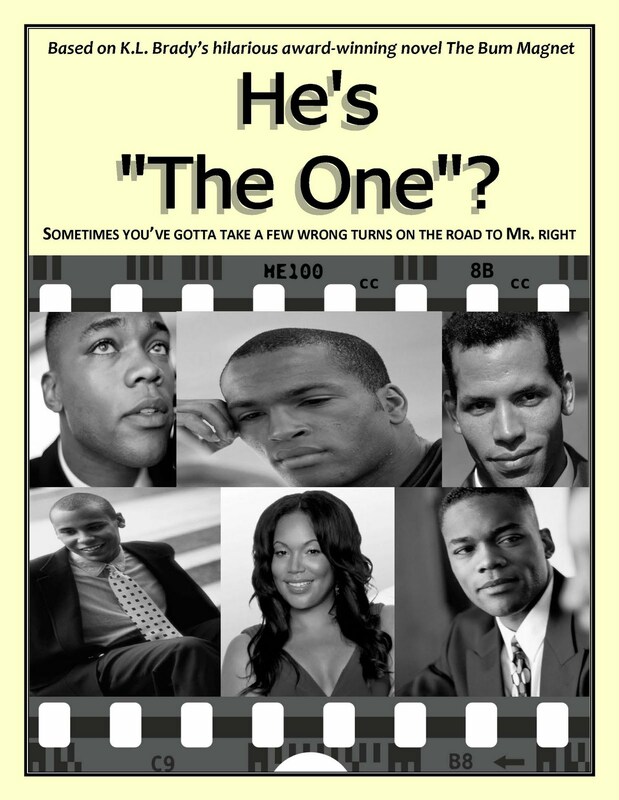 So, I picked He's The One? I made a faux movie poster so I wouldn't have a blank page. After I finished the screenplay, I swore I would take a long long long long break from writing so I could clear my head and get ready for novel number four. That lasted about two days. Now I'm writing a novel that I've been wanting to write for months now. Of course, I made a faux book cover...because I got stuck in the story and made a feeble attempt to inspire myself. 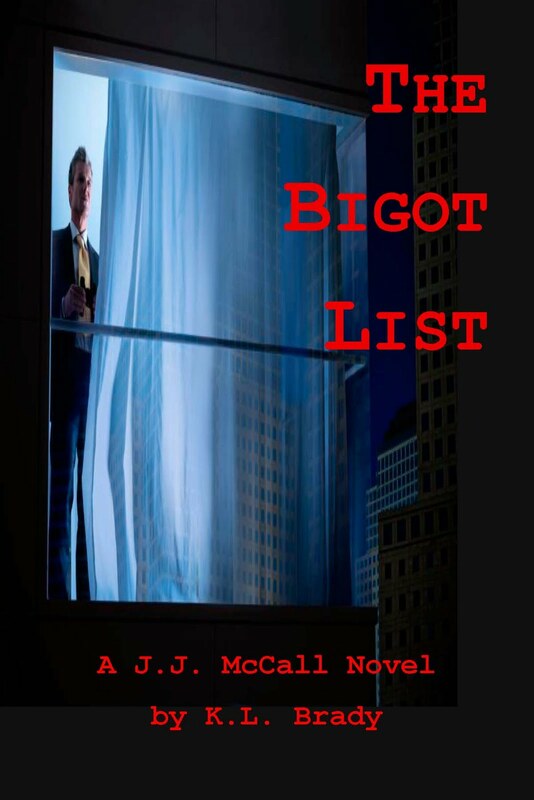 The book is called The Bigot List and it features an African-American female FBI agent/spycatcher named J.J. McCall. How cool is that name? Came to me in a dream. So, that's the update on my writing life and why I haven't posted any good stuff lately. I'm coming around to it though, so please don't give up on me. Because I've my busy writing schedule I've decided to Pimp My Blog for indie or any author who have books to promote. If you want me to host you on a blog tour, answer the following questions and send me one author photo and book covers only. Hit me up at karla (at) klbradywrites (dot) com if you're interested.